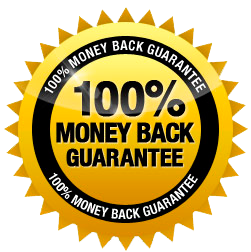 We guarantee 100% refund for a link if you cancel it within 5 days after installation. We guarantee that permanent links will stay alive for at least 6 months. You’ll get a partial refund for the unused period if the successfully placed link was later removed by the publisher and not recovered within 12 days. 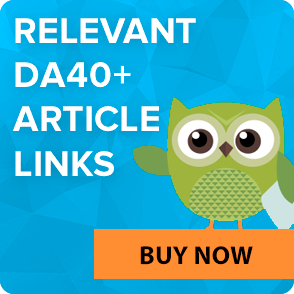 We guarantee that the page where your backlink is placed won’t have such attributes as “noindex” or “nofollow”, unless you want them to have these attributes by checking the appropriate checkbox or letting us know in any other way. We guarantee that the purchased ad link will contain the anchor text provided by you, Customer, during the order placement. You can get the detailed information on payments and refund policy by reading the LinksManagement Terms of Service. 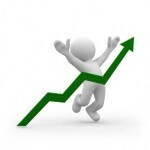 The success of our clients is the best guarantee of our backlinks’ and services’ quality. See how Nimrod Flores got 101 keywords in Google Top 20 with only 40 backlinks and increased his traffic by 183%, and learn how Jovan Petrovic achieved the Google Top 5 rankings in 3 months with only 27 backlinks. * Any fees for the Services which are charged to Customer account, as well as the initial and all deposit(s), are non-refundable after 30 days of payment. You agree to submit any disputes regarding any charge to your account in writing to LinksManagement within thirty (30) days of such charge, otherwise such dispute will be waived and such charge will be final and not subject to challenge. If either you or LinksManagement terminate the Services and notify the other party by any means, any fees paid hereunder are non-refundable and non-cancelable. If you violate LinksManagement Terms of Service, you waive your right to qualify for payout and any fees paid hereunder are non-refundable and non-cancelable. You agree to pay LinksManagement all charges made to your account for the Service in accordance with the LinksManagement Terms of Service. LinksManagement reserves the right to either suspend or terminate your account with LinksManagement. In the event your payment method cannot be charged for monthly subscription fees, your account will be locked. If account remains inactive for 180 days, the balance in the account will be charged as an inactive fee. If you fail to make payment as set forth herein, you will be responsible for all reasonable expenses (including attorneys’ fees) incurred by LinksManagement in collecting such amounts. All prices are in United States dollars and do not include taxes that may be assessed by any jurisdiction. If withholding taxes or any other taxes are imposed by any jurisdiction on the transactions pursuant to this Agreement, you shall pay such taxes to ensure that LinksManagement receives the full amount invoiced to you without offset or deduction. Reports are free of charge, but the cost of certain reports (Competitor Research Analysis, On-page optimization analysis and recommendations, Link Profile Analysis, Keyword Research) is deducted from the refund. notify LinksManagement in writing if your credit card is canceled. Upon termination, suspension or discontinuation of the Service or Customer’s participation therein, all outstanding payment obligations incurred by Customer under the Service will become immediately due and payable.